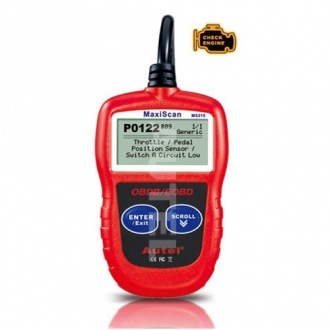 The MaxiScan® MS310 OBD II/EOBD Code Reader provides you with easy and quick access to the diagnostic trouble code thatis causing your vehicle´s problem. It easily retrieves diagnostic trouble codes (DTCs) and code definitions on all OBD II/EOBD compliant vehicles sold worldwide since 1996. 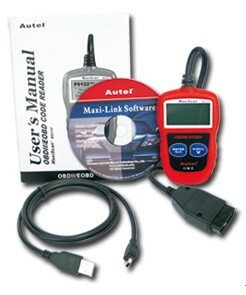 This compact and professional reader has the same functions and benefits as large expensive diagnostic scanners.